The app is called Postgame App - which serves as a real time, interactive platform for its users, who can make videos questioning respective athletes across the globe about their games. 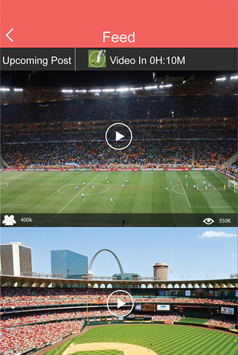 Subsequently, users can as well watch or listen to their favourite athletes answering or talking about their games. 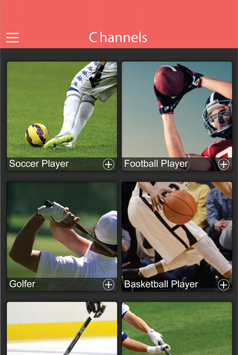 The app has been designed to modify your gaming experience with your favourite athlete in a real time, interactive manner. Client approached us with a requirement to develop an interactive platform that can help users make a video-question to their favourite athletes about their game. 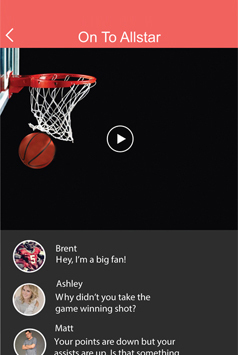 In turn, users can listen to or watch their athletes responding or talking about their games. All our client wanted was to improve the game experience with real athletes in a full interactive manner. Q&A system that allows users to ask questions and interact with athletes after the game. Tap the plus sign to follow your favorite channels. Channels with real time access to post game videos. Be alerted when the athletes you follow are going to broadcast from their device. The solution we made our client fit his demand perfectly â€“ the app turned out to be smooth to operate, fast to load and it is crash-proof. 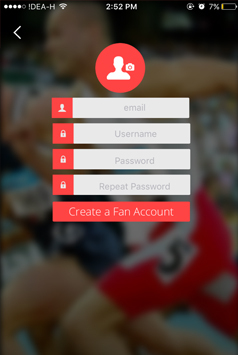 Client wanted an app wherein athletes and fans can interact in real time and improve their gaming experiences. Making video of themselves questioning their favourite athletes about game and watching them back talking about their games is something an amazing experience. Front-end Our developers made sure they had characterized program interfaces and services kin to the initial users of these services and interfaces. Ensuring the design and languages such as CSS and HTML have been used with final utilization of the app in mind. A usual mobile app project is drafted of three essential components, backend/server technology, mobile app front-end and APIs, what we have already discussed above. Always on the top of all problems! I am happy with the way they communicate and the deliverables. I ..